A chronological list of my most recent orchestrations including the instrumentation of each score. "David Libby and orchestrator Dan DeLange have done a remarkable job of making the show's mixed bag of tunes (from composers as diverse as Jerome Kern, Jimmy McHugh, Nacio Herb Brown and Luigi Arditi) fluid and smooth." ​"And the music, as orchestrated by Dan DeLange and directed by Michael O'Flaherty soared." 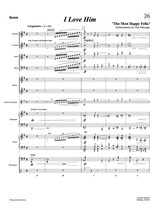 "Orchestrations by Dan DeLange and a mere hand-full of seven versatile musicians that deliver the sound of a great big Broadway orchestra"
"And, oh the music! ...Dan DeLange’s orchestrations ... make it sound as though a full orchestra was in the pit. The score is in winning hands." 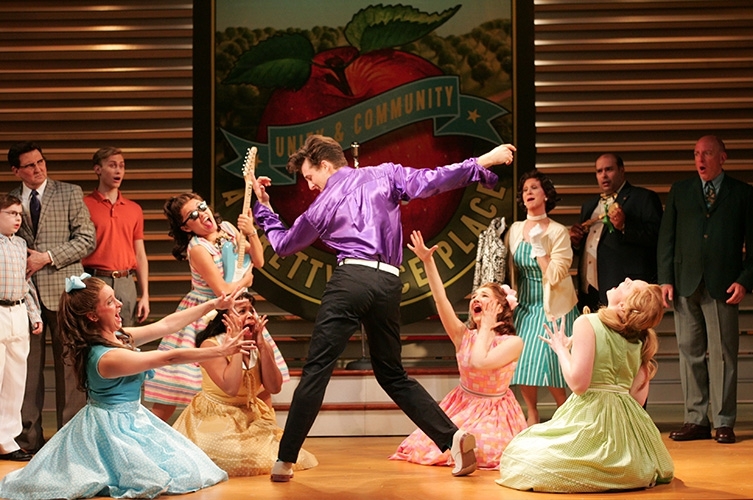 ​"The current production of GUYS AND DOLLS at Goodspeed is infectious, fast, and smart. It does Frank Loesser's topnotch score justice, nailing the balance between vocalists and the pit orchestra, letting us enjoy both the witty lyrics and memorable tunes of so many of the best songs ever written for musical theater." "When this reviewer read the Playbill, he was amazed at the fact that the orchestra... numbered just seven. They sounded like a full-sized pit orchestra"
"Brilliantly orchestrated by Dan DeLange, the musicians never overwhelm the singers, nor do they take second-place." "Dan DeLange's orchestrations and Michael O'Flaherty's musical direction are invaluable"
"What a pit orchestra! It sounds like a major symphony but is usually a handful of musicians who deftly play many instruments to make each production’s notes soar... Dan DeLange, who has created outstanding orchestrations for numerous Goodspeed productions, is once again on board. It’s beautifully honed teamwork that makes this and all productions at Goodspeed Musicals such a joy to see and hear." 2013 Shakespear Theatre Company, Washington D.C.
"The small orchestra... delivers a sound far fuller than its size would suggest and provides an exemplary performance of Sondheim’s catchy, upbeat, and jaunty score. Kudos to the talented musicians of the wonderful orchestra." “I think you did a beautiful job on SHOW BOAT, maybe the best set of orchestrations I have heard for this show since the originals. And the amazing thing is that you got all the power and the glory of the score with only eight players. Thank you for using the Robert Russell Bennett scores as your guide. Together you’ve made beautiful music. And I think he would be as proud of you as I am. The Rodgers & Hammerstein Org. 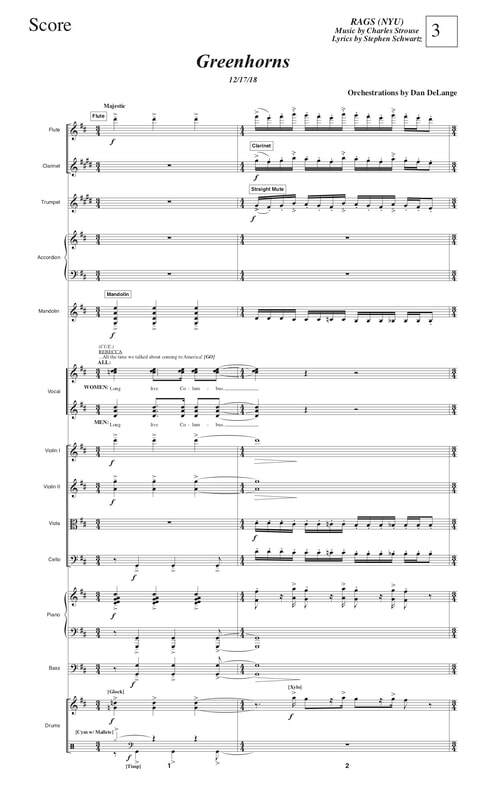 asked me to adapt this version for 11 musicians; adding 3 musicians, thus allowing the keyboard programming to be less demanding. This "Goodspeed Version" is available through their website. "Unlike "The Most Happy Fella's " last visit to the Goodspeed stage in 1991 when it was performed with a specially-written, well-revived two piano score, this version employs a seven-person chamber ensemble that in Dan DeLange's remarkable orchestrations captures the exquisite scope and essence of the original Broadway production's much larger orchestra. Here you come away with an appreciation for Loesser's majestic vision too." 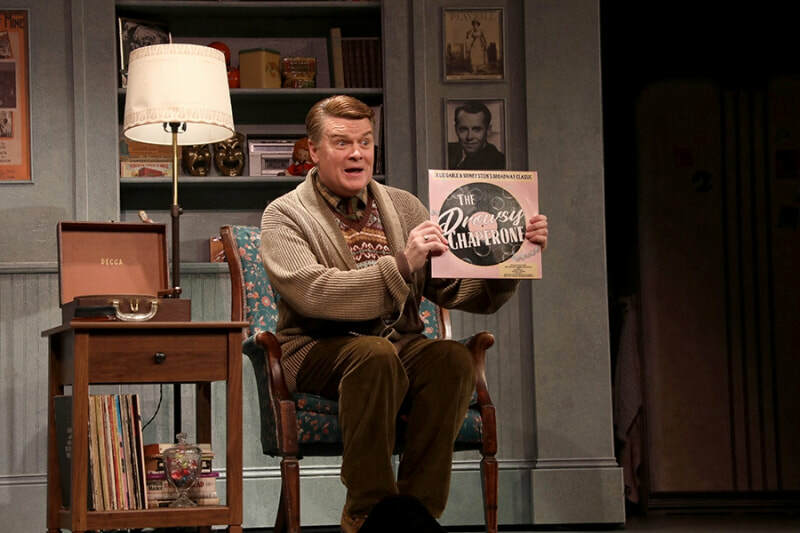 "The production’s polished singers stand out beautifully against the seven-piece orchestrations of Dan DeLange, somewhere between a full pit band and the two-piano version of the score that was presented by Goodspeed in 1991. That production went on to Broadway, and in a better world, this one would, too." "As typical at Goodspeed productions, musical director Michael O'Flaherty and his seven fellow musicians make the score sound as if it's being played by an orchestra three times the size, as they deliver a rich, fulfilling arrangement of Dan DeLange's marvelous orchestrations." 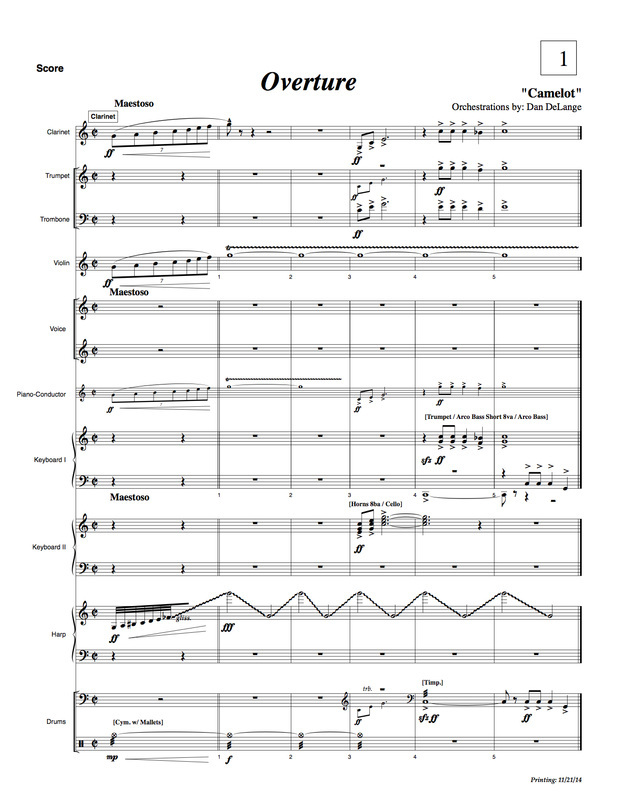 "The orchestrations of Dan DeLange give these pop songs a wonderful Jazz Age effervescence"
These "Something's Afoot" orchestrations are available for license through Samuel French. 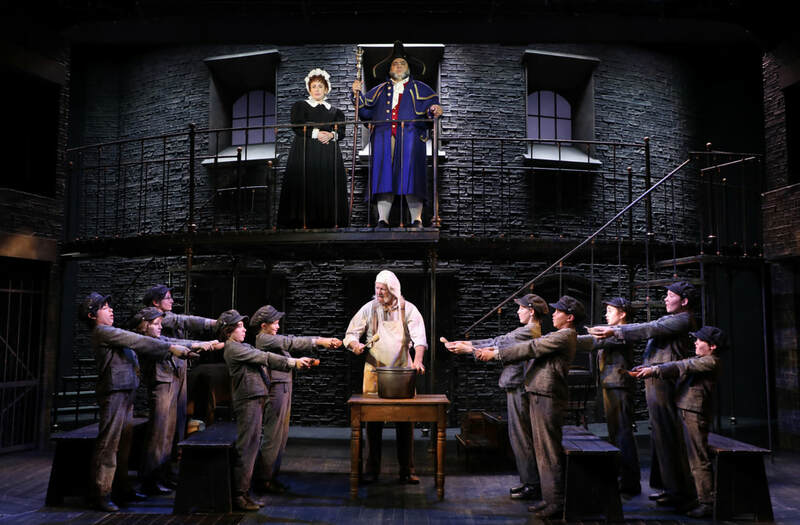 "They [Goodspeed's pit musicians] make Richard Rodger’s glorious musical score, brilliantly orchestrated here by Dan DeLange, reason enough to see and hear this magnificent production. The sounds made by these few musicians are as big as any great Broadway pit orchestra." "Dan DeLange has reorchestrated Herman's score for eight musicians, led by music director Michael O'Flaherty, who manages a raucous, brassy sound that is still somehow able to express the nuances in the music, while helping to maintain the slick pace." "The care with which the Goodspeed has mounted this production indicates a great deal of respect for Loesser and his legacy. 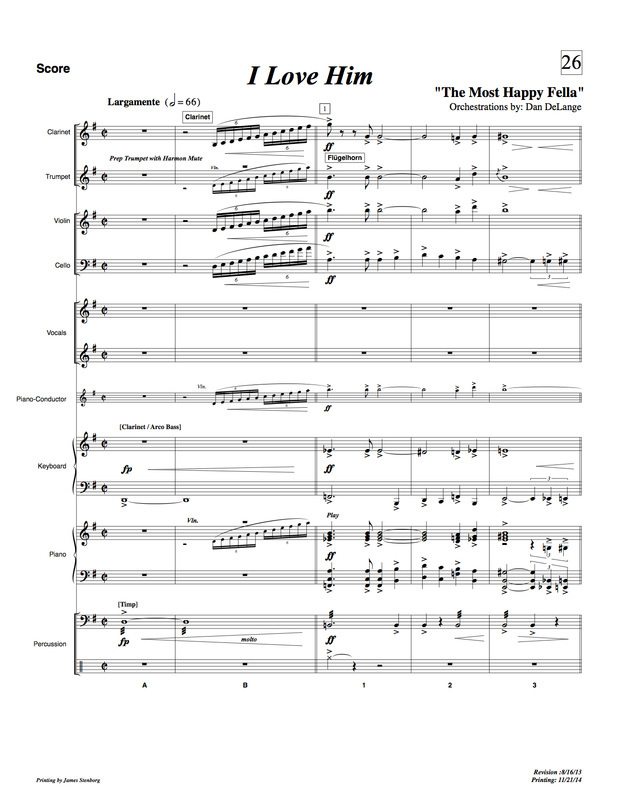 The new orchestrations, although for a smaller number of players than in the original, maintain the integrity of the score and honor Loesser's vision and intentions. As a result, a new generation can experience the genius and creativity of one of the theater world's legendary composers." "…I also thought about how big the music is, and how well served it was. That's something important for the future, I feel. To be able to do justice to those kinds of melodies within the Goodspeed world is a tough challenge, and this production rose to it." "Finally, the whole point of this trip was to hear a musical with real music. The eight musicians in the pit were breathtaking, led by Music Director Michael O'Flaherty. The orchestrations by Dan DeLange were astoundingly full and rich, and the instrumental elements of the production were at least as responsible for its success as any other element." "But the real stars of this "42nd Street" … turn out to be the honking, bluesy orchestrations of Dan DeLange." "Dan DeLange's orchestrations are absolutely right..."